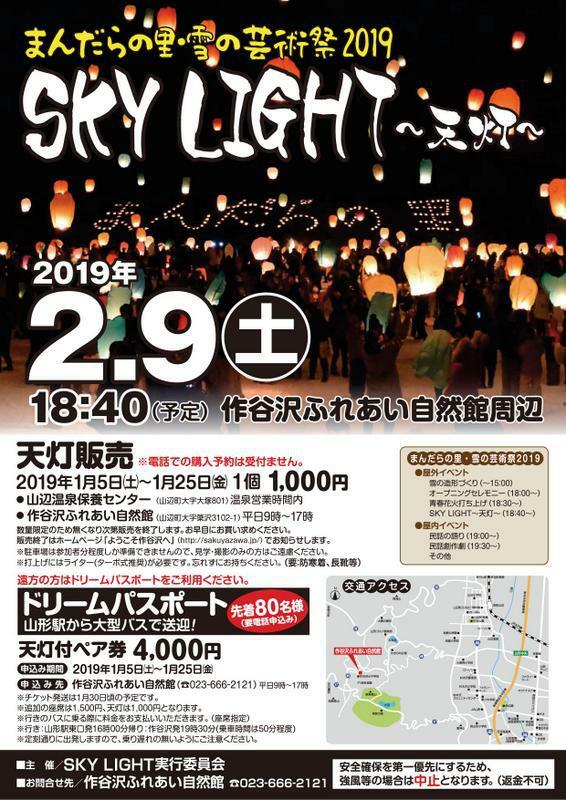 We hold winter Events "snowy art festival 2019" of village, Tsukuriya swamp of mandala. Various Events is performed with Tsukuriya swamp contact nature building becoming one side silver world. We hit the sky light (the sky lantern) as outdoor Events. It recruits participants hitting the sky light together in clear night sky of Tsukuriya swamp! The colorful sky light rises all over the sky, and the fantastic world spreads out. Do you not hit the sky light with wish with friend and family, important person? 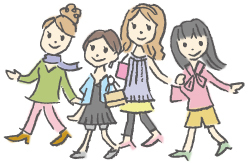 In addition, we sell "dream passport" with pickup and drop-off from Yamagata Station. You can participate in driving of snow-covered road in peace from uneasy one and one without transportation. "Art festival 2019 of snow"
※It is finished as soon as it disappears because it is in a limited quantity. Please buy early. ※Display requires writer (turbo-style recommendation). Take without forgetting.